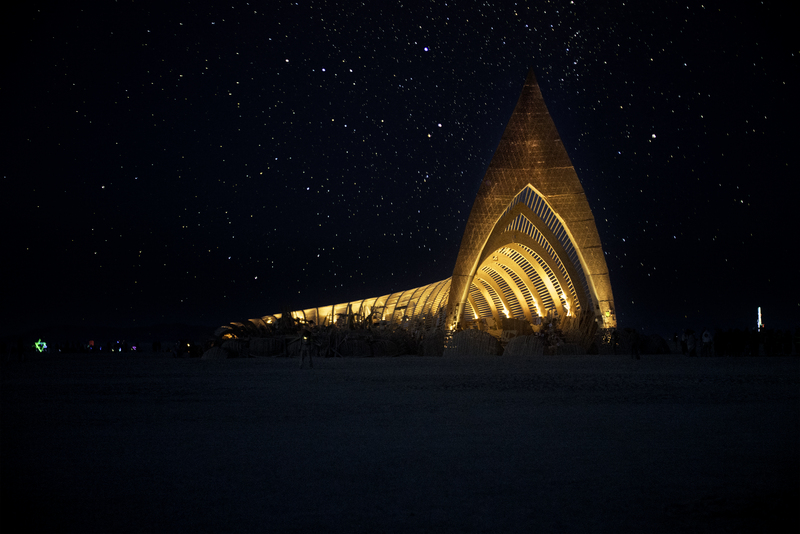 Archives | Tossing Sony 4K into the "Crucible of Creativity"
Tossing Sony 4K into the "Crucible of Creativity"
Burning Man gathers 70,000 people from around the globe into what's called a "crucible of creativity" as participants build a city of art and ideas in Nevada's Black Rock desert. This year, I put a combination of Sony 4K technologies -- the α7R II camera, the PXW-FS7 camcorder with FE PZ 28-135mm F4 G OSS servo lens and the NEX-FS700 camcorder -- through a torture test of sandstorms and heat. Burning Man - how does one communicate the gathering? How can you capture the heart of personal transformation? My production company, Sutro Studios, shot a documentary about the festival by focusing on The Temple, a sculpture that serves as the soul and spiritual connection for many there. It is the setting for countless stories that reveal the humanity of the Burning Man experience. A quick preview of some footage shot during Burning Man 2015, following the work of the Temple Crew. I came to this personal documentary project after many years working in the film industry, first in London doing visual effects for films like the third Harry Potter movie (The Prisoner of Azkaban) and “Troy.” Then I moved to the San Francisco Bay area to join the lighting department at Pixar Animation Studios, working on some of their most cherished films including “Toy Story 3,” “Wall-E,” “Ratatouille” and “Up.” During my tenure at Pixar, I had the opportunity to create their official contribution to the “It Gets Better” project, an anti-bullying short film that targeted LGBT youth around the world and was enormously well-received online. This experience inspired me to take up other work in cinematography and photography, which I’ve always loved. It also confirmed my desire to craft my own stories and to show amazing people in companies and non-profits absorbed in their expertise. Three years ago, I opened Sutro Studios to make my dream a reality. Before taking off on our odyssey to Burning Man, we invested a great deal of time researching and then doing comprehensive testing of the latest technology to be sure we had the right camera. I'm really picky about cameras. From the flexibility of the lens mount, to the codecs available and the picture profile, to the ergonomics - every single thing has to come together to help me create and tell the story the way I see it in my head. How will the sensor respond to light? How much can I push the image in grading? How good is the dynamic range? How noisy is the camera? How high is the picture quality? What lenses can I use? We've mostly used the NEX-FS700 on shoots, but after our research, we quickly saw that that the FS7 was without a doubt the perfect choice for us to bring into the desert as our main camera. It balanced all of our requirements. It's not only a great run-and-gun camera for documentary work, but also is quite capable in more formal studio settings. We set out in mid-August for the three-week shoot with a brand-new FS7 along with our FS700 to work alongside it. We also added a Sony α7RII mirrorless camera to our kit. 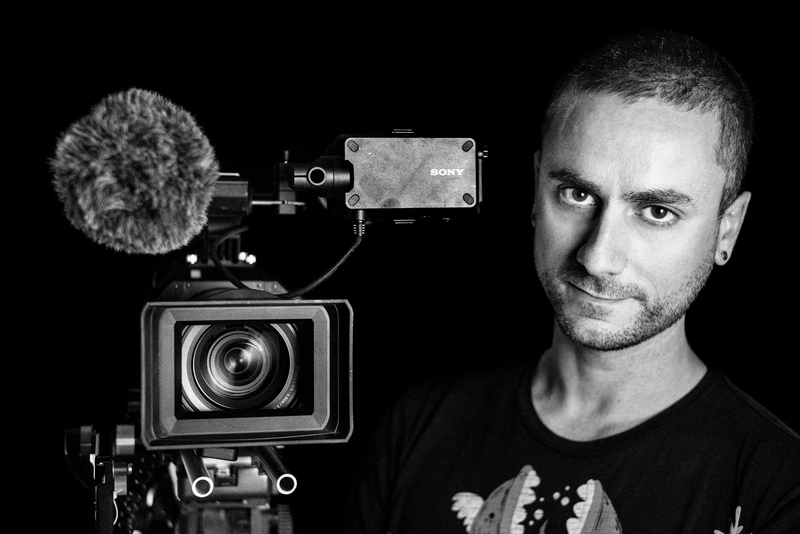 We used the Atomos Shogun to record in 4K with each. We arrived at Burning Man on August 15, two weeks before it started, alongside the select few people allowed into the desert to build the city and main structures. As it turned out, this was an exceptionally tough year at Burning Man in terms of the weather conditions but despite all of the challenges nature threw our way, the FS7 ably handled itself. The desert conditions at Black Rock City are typically intense, with searing heat and wind, and this year was the worst I'd ever experienced. Massive wind and dust storms swept through the Playa, the dry lakebed, at nearly 70mph. This lifted huge metal structures off the ground and left us blind in complete whiteouts where you could barely see your hand in front of you. We shot three main groups of stories. First, we showed how countless volunteers built The Temple in 24/7 shifts to have it ready. Then, during the event, we met those coming together to protect the space, as well as those visiting it. Finally, we conducted a mix of run-and-gun and on-location interviews with many people sharing intimate stories of their pilgrimage to this sacred site. Through all of this, the camera held up incredibly well, which impressed me greatly. Despite the dust, we managed to keep the sensor clean - more so than I ever expected. The FS7 never skipped a beat even shooting in 4K with the intense heat during the day. It was always ready to shoot no matter what I threw at it. I love the comprehensive menus to create a signature "look" with picture profiles, and how the buttons on all sides are programmable to make the operation as easy as possible. I can quickly switch settings based on what I'm shooting. That's a terrific timesaver. The focusing system and assist always allow me to reach my full potential, no matter if I'm operating the camera solo or working with assistants. And, most important, I love the image quality. The lens mount's versatility is amazing, giving me enormous flexibility to use whatever lens (classic or modern, cinema or photo) that I could possibly want. We tested out numerous lenses and selected the Sony FE PZ 28-135mm F4 G OSS servo lens for this project. It was fast enough for all the desert shots, and the excellence of the G-series glass was a fine complement to the FS7's sensor. Aside from this ordeal, I've also used the camera in a lot of other settings for other projects including customer success stories, crowdfunding videos, commercial pieces, a feature on a local sculptor and more. From a quick run-and-gun standpoint, it's effortless to have the camera setup with a minimal rig, move it easily between spots, conduct interviews, and film handheld without a problem. I know it will always capture a great image, and with the boom mic I get great sound. 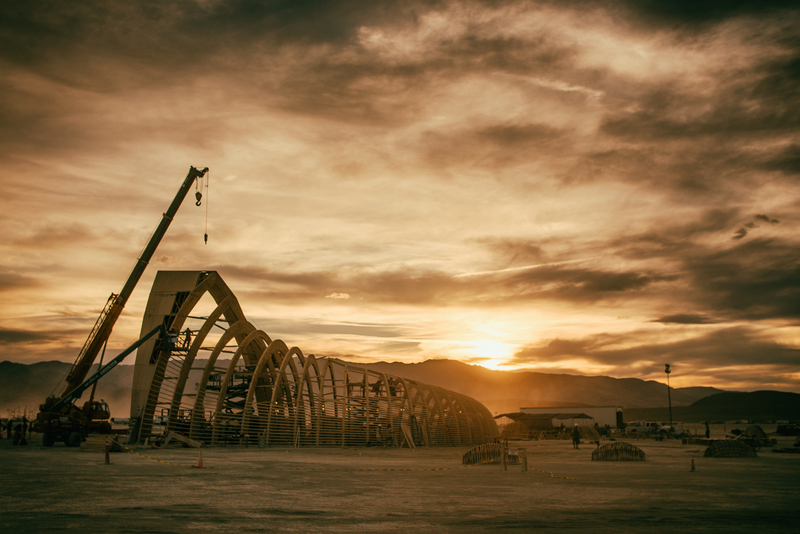 As we move towards completion of the Burning Man project, we're seeing this come together into a powerful and moving story. We hope to craft a unique testament to the power of the good that can come from people when they give it all in the most unselfish of ways. I couldn't be more excited about putting the 4K α7R II, PXW-FS7 camcorder and NEX-FS700 camcorder to use creating something so cinematic and personal!